Latest Updated on 16.04.2019 : NIELIT CCC, ECC, BCC & CCC+ March Cycle Exam Result Is Released………….Check Your Result Through The Link Given Below…………. 1). 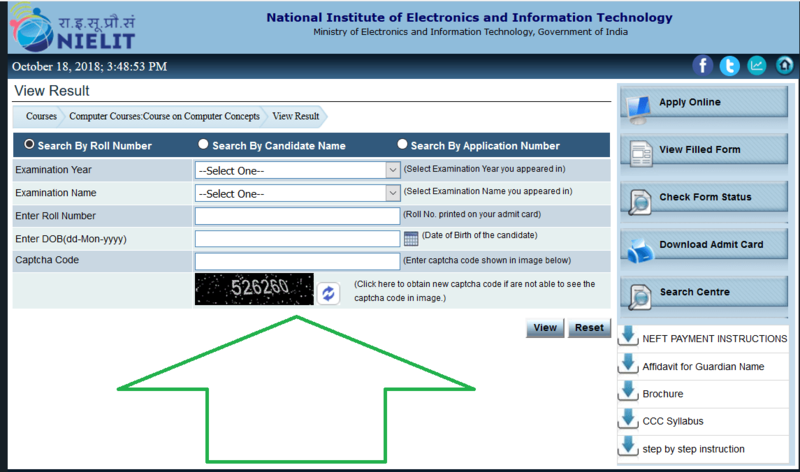 Candidates Needs to visit to the Official Website http://student.nielit.gov.in/. 2.) There will be a Link with the Name View Result on the Right Side. 3.) After Clicking on View Result Link Candidates needs to Select the Course. 4.) After Click on the Course Name the Page of View Result Will be Open. NIELIT has recently released an Online Application notification for Examination of Courses like CCC, BCC, CCC+, and ECC. These Courses are regarding the Computer Knowledge. These courses are Conducting under Digital Literacy Program under ministry of Electronics & Information Technology, Government of India. All these courses are running to digitalize the Youth and to enhance their Knowledge regarding the Digitalization. The Duration of the Courses are 20 hours for ACC, 36 hours for BCC, 80 hours for CCC, 126 hours for CCC Plus and 200 hours for ECC. NIELIT has conducted the Online Computer Based Exam for the CCC, BCC, CCC+ and ECC Courses. Those candidates who have applied for the NIELIT CCC Exam, appeared in an Online Exam to get their Certificate in their respective Course. There were heap of candidates at the Exam Centers of the Candidates. Now the candidates are eagerly waiting for the NIELIT CCC BCC Exam Result February 2019 and other course’s Exam result. So we want to suggest all the candidates who have appeared in the Exam to have some patience. The Process is ongoing. The NIELIT CCC Course Result will be published by the Official Website very soon. The Candidates need to visit the official website at time to time. The candidates can view their Result through the Result Portal given at the Official website by mentioning their Roll no./Enrollment No. 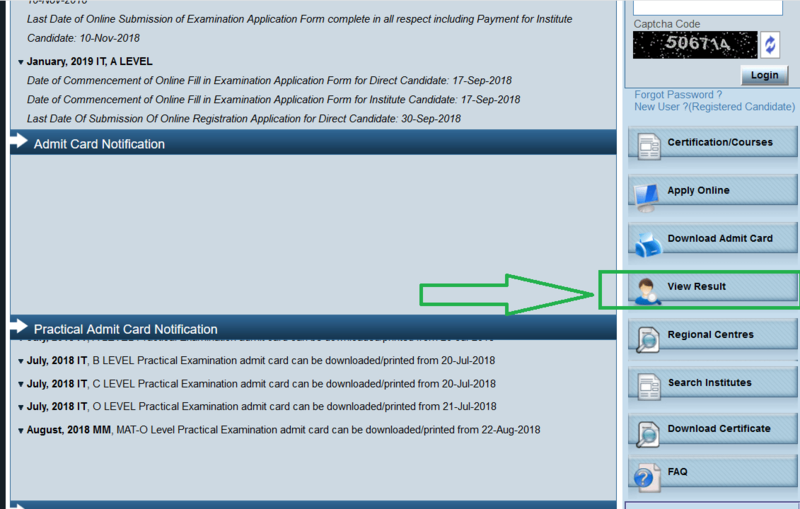 The Exam Result status can be checked by the Given link ……. Those candidates who will qualify the online Exam, will be allotted with a Certificate in his/her respective Course. The Certificate will not have any marks of the Exam. There will be Grade in the Certificate. The candidates can understand the Grade Allotment by the given table……….. The candidates can add our page (www.jobriya.in) to their bookmark to get the alerts regarding the Upcoming Exam result of NIELIT various courses & of NIELIT CCC BCC Exam Result February 2019. Having Doubt ? Kindly Share With Us by Writing them In the Comment Box Given Below. Our Representative will try to reach you as soon as possible. mera result show nahi kar raha hai pls. bataye result. Result not uploaded as yet.